Dr. Schwartz is a nationally board-certified ophthalmologist, with a specialty in pediatric ophthalmology. He has been in private practice in Manhattan and taught extensively at the New York Eye & Ear Infirmary as an adjunct professor. He has served in the pediatric ophthalmology service, the comprehensive service and the trauma service at this prestigious eye hospital. He was also an associate professor at Mount Sinai Hospital and ran the pediatric and neonatal ophthalmology division at Lincoln Hospital in the Bronx, providing eye care to underprivileged children. Dr. Schwartz has traveled to Central America and Southeast Asia to serve on humanitarian medical missions. 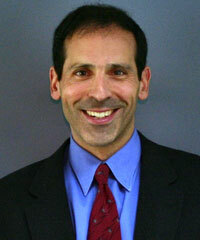 A graduate of Cornell University, Dr. Schwartz now returns to Ithaca. He is on staff at Cayuga Medical Center and serves our community from his newly renovated office on Triphammer Road. Dr. Schwartz accepts most insurances and works closely with local medical doctors and optometrists to ensure the best eye care for you and your family.